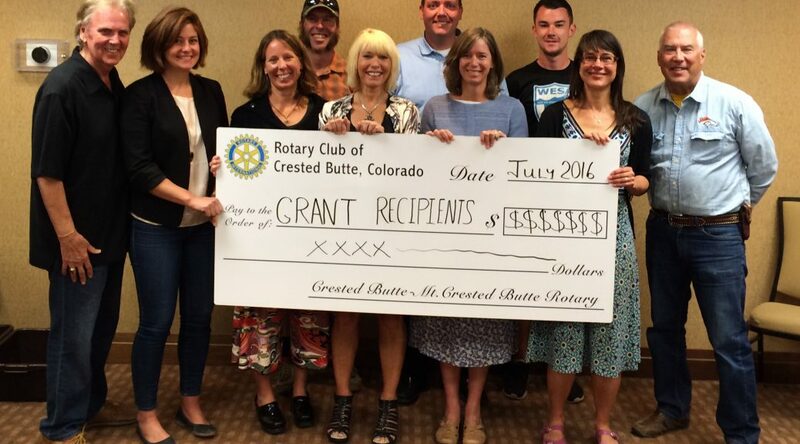 The Crested Butte/Mt Crested Butte Rotary Club provides Community Grants to very deserving nonprofit organizations as well as the public schools on a semi-annual basis. The funding for the Grants is generated from Rotary’s Great Rubber Duckie Race proceeds. The Club’s areas of focus for funding are Education Programs, Health & Human Service Programs, Youth Programs and Arts & Culture. The Club focuses on benefitting youth in each of these funding categories. The Community Grants Committee will review all Grant applications and submit recommendations to the Rotary Club Board of Directors for their review and consideration. Please review the following important links and information below, if you are interested in applying for a Community Grant. Nondiscrimination Policy: Organizations are considered only if they do not and shall not discriminate on the basis of race, color, creed, gender, gender expression, age, national origin, disability, marital status, sexual orientation, military status or any other basis prohibited by law in any of its activities or operations.